What Options Do I Have To Fix My Teeth? Am I a good dental implant candidate? What Options Do I Have & Who Can Help? Who Surgically Places Your Implants? Please remember, dental implants are medical devices surgically implanted in your body. Just like you want a quality hip surgeon placing your new hip, your dental surgeon should be well versed in the surgical phase of dental implants. The first effort at implant placement is your best chance of a quality outcome. If the first implant fails, a second implant surgery is more difficult and less predictable. Dental implants are also not created equal. Some implants are of higher quality (more precisely machined and manufactured) than others. Make sure your surgeon is using a quality implant system. Ask questions! Make sure your surgeon is well qualified before you start treatment. 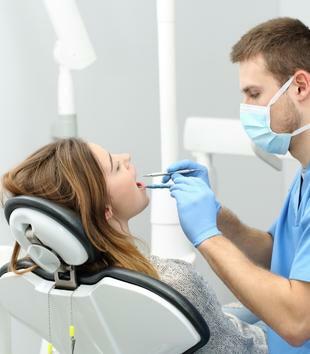 General Dentist: education consists of dental school followed by continuing education courses and experience. Often well qualified to place implants in straight forward situations and place straight forward bone grafts. Periodontist: Specialty education of 2-3 years after dental school learning surgery of the gum and bone tissue surrounding the teeth. Capable of removing teeth, grafting bone to improve implant sites and educated in placing implants in multiple situations from easy to complex. Oral Surgeon: Specialty education of 4-6 years after dental school learning complex surgeries of the jaws. This includes jaw repositioning surgery, trauma surgery reconstruction and easy to complex bone grafting procedures. They are also capable of placing implants in all situations from simple to complex. Implantologist: There is no such thing as an implantologist or “implant specialist”. Some dentists advertise as such but the American Dental Association does not recognize it as a specialty so be wary of anyone who claims to be an “implant specialist”. Who Restores your implants (makes your teeth)? General Dentist: dental education then continuing education to learn more involved implant treatment. Depending on the continuing education (evening course, weekend course, full year involved educational program) general dentists can restore most implant needs. Prosthodontist: 3-4 years of specialty training beyond dental school. They are the specialist trained in replacing and rebuilding teeth including teeth and jaw structures lost to cancer, trauma or dental disease. Able to help the surgeon plan ideal implant placement for dental implant reconstructions. Capable of restoring simple to complex implant reconstructions and highly trained in extensive full jaw and full mouth implant reconstructions.